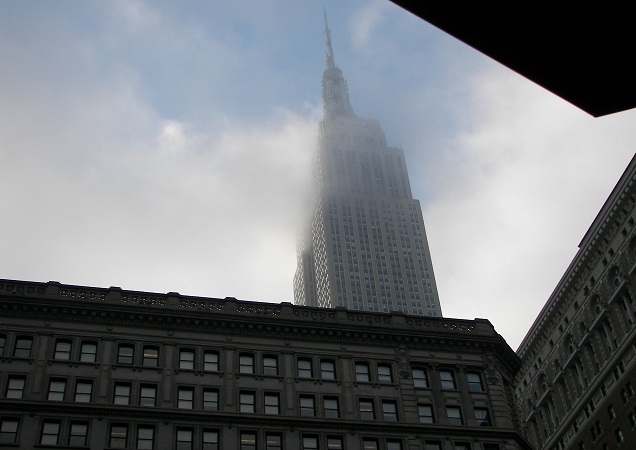 The Empire State pierces the morning fog. The whole dark city radiantly blooms. Under a mist, shines forth the innocent Tombs. Thus have I seen it from a casement high. As unsubstantial as a dream it grows. That in a cloud so rapturously glows? I see my city with an enlightened eye. Referred to as "the Browning of American poetry" by noted journalist William Thomas Stead, the Connecticut born Anna Hempstead Branch (1875–1937) was regarded as a major poet during her life publishing three acclaimed poetry collections during her lifetime. Born this day in 1875, Hempstead Branch is best known for Shoes That Danced (1905), Rose of the Wind (1910) and Sonnets from a Lock Box (1929). Her final collection — published posthumously — was the appropriately titled Last Poems (1944). Ms. Hempstead Branch helped bring poetry to the masses through her founding of the Poets' Guild of Christodora House. The Poets Guild produced the Unbound Anthology series of poems that were sold on the streets of New York for five cents and funded the House. Poets that she brought to Christodora House included Sara Teasdale and Robert Frost. The sonnet New York at Sunrise is from the New York Sonnets section in Shoes that Danced.